Here is the latest version of the hook analyser for download. 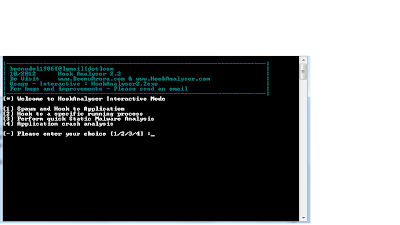 Perform quick static malware analysis - This module is one of the most interesting and useful module of Hook Analyser, which performs scanning on PE or Widows executables to identify potential malware traces. The UI and modules of the project have been re-written. The interactive mode is more verbose. The (static) malware analysis module has been enhanced.